Backlit display and controls for nighttime operation. 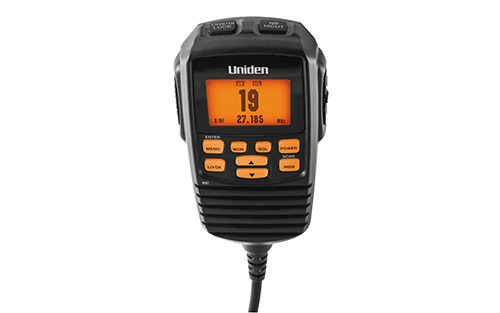 The new line of ultra-compact CB radios from Uniden appear to be trying to find a place in the compact + handheld mobile CB radio market... and they appear to be doing everything right. 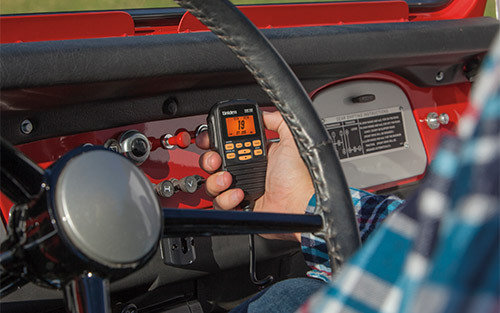 The CMX560 compact "all-in-the-mic" CB radio system is designed to compete directly with the Cobra 75WSXST off-road CB radio for a small radio that fits in your hand, specifically designed for newer vehicles and off-roading applications where space is a premium. 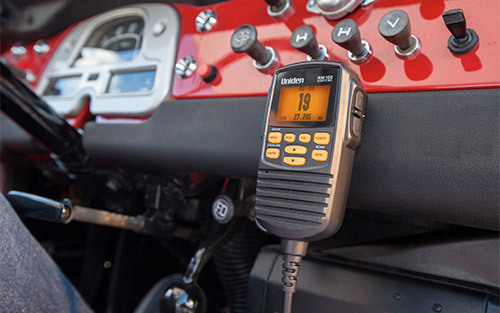 The Uniden CMX560 handheld off-road radio, unlike the Cobra 75, has taken a newer approach towards a clean, geometric, symmetrical design aesthetic which is sure to compliment your vehicles interior. 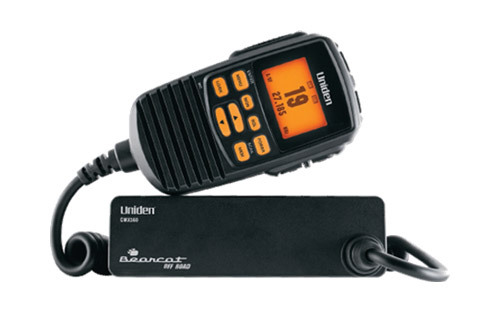 If you need a radio that fits into a very small space, and looks modern to boot, then this radio is your next CB. Compact size -- the unit (excluding mic) is only about 4" x 4" x 1"
Noise Blanker / High Cut help eliminate ignition noise and improve audio.